In reading this textbook, you will encounter a rich array of source materials and a narrative informed by a wealth of scholarship, so you may be surprised to learn that women’s history is a comparatively new field. 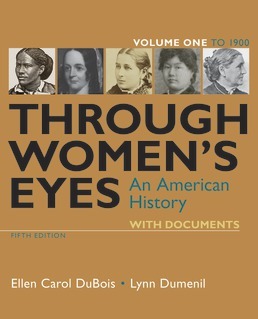 This textbook draws on the rich theoretical and historical work of the past fifty years to present a synthesis of American women’s experiences. Primary sources are included in each chapter, both in the features “Reading into the Past” and “Primary Sources,” and there is also a chapter review to help you pull it all together! For a value option, try purchasing the e-book version of the text or try the social learning platform Perusall. "A Peculiar Mode of Education"
"All That Independence Which Is Proper to Humanity"
Who Were the Women Wage Earners? PRIMARY SOURCES: Ida B. 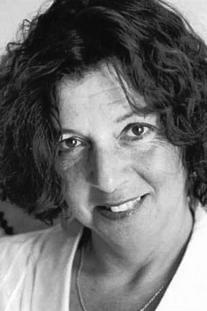 Wells, "Race Woman"
ELLEN CAROL DUBOIS (Ph.D. Northwestern University) is Distinguished Professor of History and Gender Studies at the University of California, Los Angeles. She is the author of Feminism and Suffrage: The Emergence of an Independent Women’s Movement in America, 1848–1869; Harriot Stanton Blatch and the Winning of Woman Suffrage (winner of the 1998 Joan Kelly Memorial Prize in Women’s History from the American Historical Association); and Woman Suffrage and Women’s Rights. With Vicki L. Ruiz she is coeditor of the influential anthology Unequal Sisters: A Multicultural Reader in U.S. Women’s History. With Vinay Lal, she is co-author of the forthcoming The Many Worlds of Kamaladevi Chattopadhyay. DuBois’s current women’s history work focuses on international feminist politics in the interwar years. 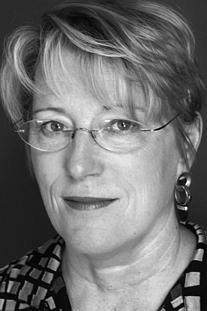 LYNN DUMENIL (Ph.D., University of California, Berkeley) is Robert Glass Cleland Professor of American History, Emerita, at Occidental College. She has written The Modern Temper: American Culture and Society in the 1920s and Freemasonry and American Culture: 1880–1930. She is editor in chief of the Oxford Encyclopedia of American Social History. Her articles and reviews have appeared in the Journal of American History, the Journal of American Ethnic History, Reviews in American History, and the American Historical Review. Dumenil’s current book project focuses on women, World War I, and the emergence of modern culture.